The Cloud instantly leapt to the top of most people’s headset recommendations and there it’s stayed. 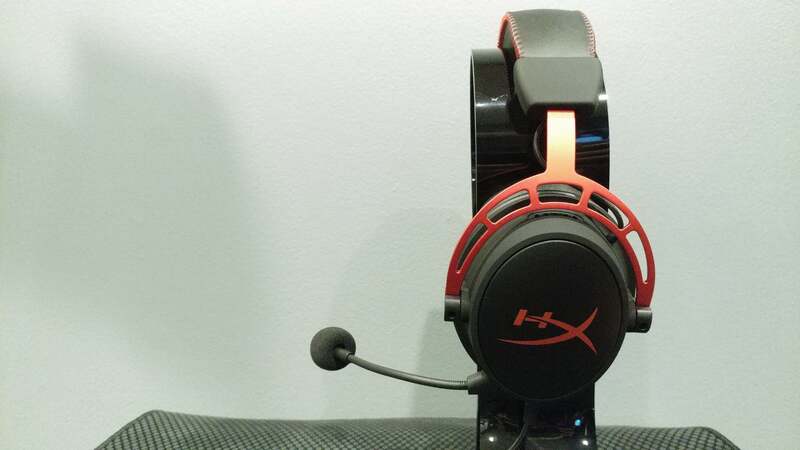 In the years since, HyperX has released a half-dozen new headsets—the Cloud II, the Cloud Revolver (and Revolver II), the Cloud Stinger—and while all have been perfectly fine additions, none have dethroned the HyperX Cloud. Until now. With the Cloud Alpha, HyperX might finally have a legitimate successor. One look at the Alpha and you can tell its intentions. 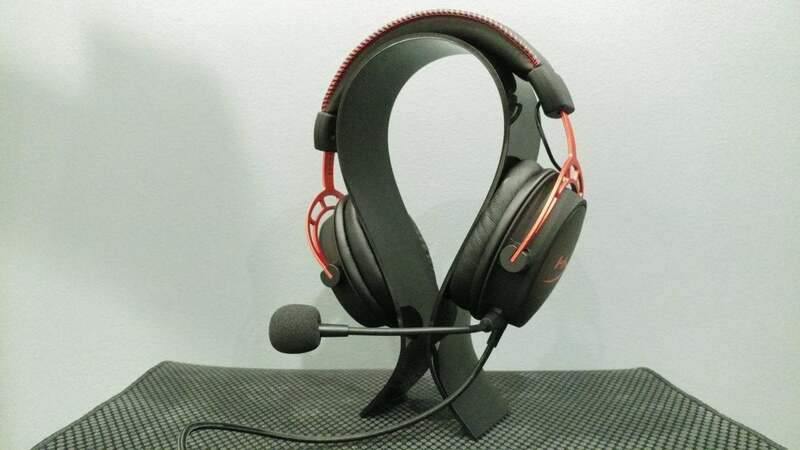 Like the 2014 Cloud, the Alpha features two oblong earcups attached to red metal forks, its metal headband wrapped in faux-leather embossed with the HyperX typelogo and edged with red stitching. The biggest difference is that the Alpha’s metal forks are perforated, presumably cutting a miniscule amount of weight while retaining structural integrity. All that to say: This is, at least in appearance, a Cloud. A real Cloud, reworking 2014’s design only ever-so-slightly. HyperX might’ve given this a new “Alpha” designation, but it could’ve just as easily called this the “HyperX Cloud III” or “HyperX Cloud (2017)” without batting an eye. 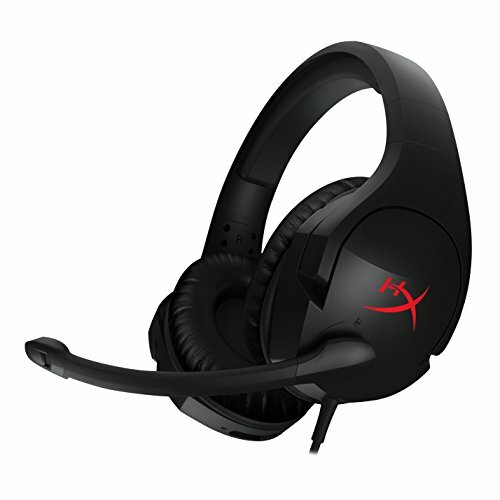 Contrast that with HyperX’s Revolver and Stinger designs, both of which deviate markedly from the original Cloud—the former with its jet-engine style earcups, and the latter with its all-plastic chassis. The Alpha is your Cloud heir apparent. And as the heir apparent, the Alpha inherits much of what I loved about the Cloud—namely, that it’s incredibly comfortable. Testing the Alpha entailed multiple eight-hour stints with the headset on, and I barely noticed. The headband is generously padded, as are both earcups, and the Alpha manages to stay reassuringly tight on the head without clamping down on the jaw or transferring pressure to your temples. Even three years on, the Cloud design is one of the best around. One complaint, though: The Alpha model ships with fewer accessories than the original Cloud. Most aren’t very noteworthy—is anyone going to miss the two-pronged airplane adapter? But the Alpha neglects to include the swappable microfiber earcups of the original. You’re stuck with faux-leather. That’s fine with me personally, as I tend to prefer faux-leather anyway. It plays nicer with my beard. The tradeoff is that faux-leather tends to hold heat a bit better. 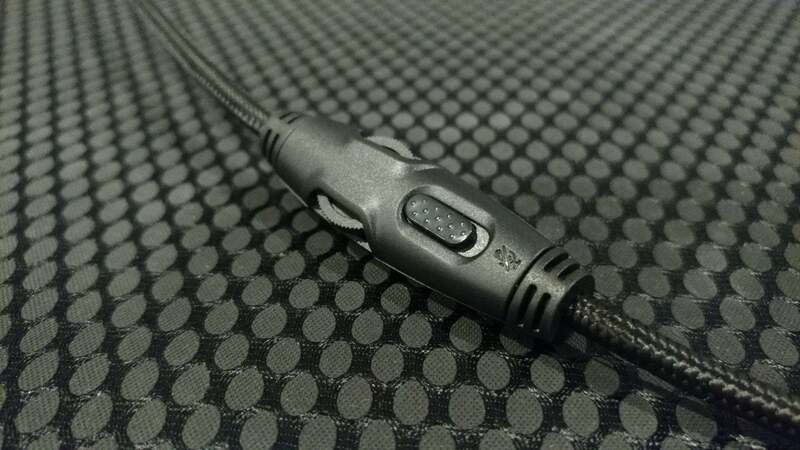 Lengthy eight-hour headset sessions benefit a bit from microfiber or mesh in that regard. There are some other throwaway changes. The Alpha’s included carrying case is just a thin cloth bag instead of the more robust padded one included with the Cloud/Cloud II. HyperX also ditched the small rubber piece that sealed off the Cloud’s microphone port when the mic was detached—but considering I lost that piece almost immediately last time, I can’t say I’m crying over its absence. Perhaps most important, HyperX finally changed its approach to cabling. Both the Cloud and Cloud II shipped with three-foot a cable firmly attached to the headset, with the inline controls or (in the Cloud II’s case) USB soundcard then plugged in at the terminus of that segment. With the Alpha, all the cabling is removable. 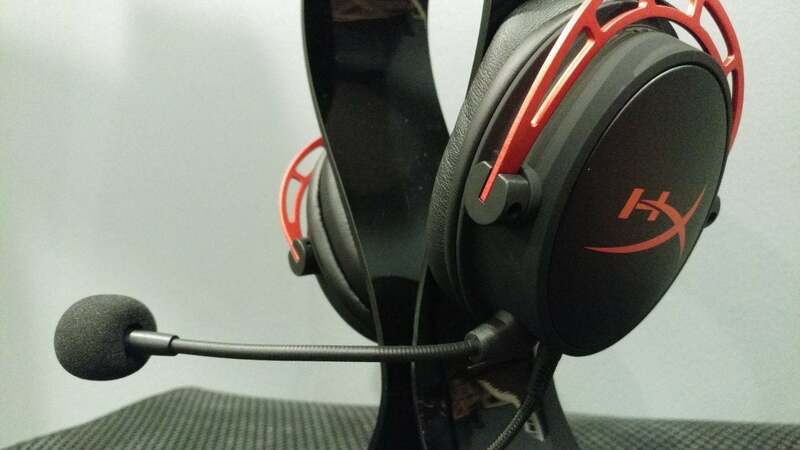 Not only is this a safer design, allowing you to replace a cable if it breaks instead of trashing the entire headset, it’s also allowed HyperX to put the inline controls only a foot or so below the headset, so they dangle at shoulder level. HyperX’s inline controls are still fairly rudimentary, with just a volume wheel and a mic mute. I’ll continue to advocate for controls built into the headset instead—I find them both more aesthetically pleasing and easier to locate in the heat of a multiplayer match. Still, the new placement is a definite improvement on the Cloud and Cloud II's designs, where the control boxes basically sat in my lap all the time. I won’t go so far as to call it a gimmick. I’ve no doubt HyperX designed the Alpha around dual driver chambers, and that the tech works as intended. Other manufacturers (Audio-Technica for instance) have built dual-chamber headphones too, so this isn’t just some “Xtreme Gamer Tech” snake oil. That said, it’s evidently unnecessary. I have headphones that sound as good or better than the Cloud Alphas and do it without dual-chamber driver wizardry. What matters here regardless is the Cloud Alpha sounds great. HyperX can chalk it up to dual chambers if it wants—the end result is an excellent gaming headset, especially for $100. Like the original Cloud, the Alpha’s main draw is its expansive but natural soundscape. Put on a well-mastered piece of music and you can tell where every single instrument is in the composition. Transfer that to games, you can hear precisely where that person is sneaking up on you. The Alpha accomplishes this with merely an incredible stereo presence, no 7.1 software fakery like many of its peers. Audio clarity is pretty damn good too. There is a noticeable bass boost—more prominent than the original Cloud's, and probably the result of the aforementioned dual chambers. Bass is also very precise, and I didn’t notice any distortion/rattling whether blasting test frequencies or dodging explosions on Call of Duty: WWII’s Omaha Beach. Higher registers are a bit less precise, and this is the Cloud Alpha’s only weak point. It sounds great for gaming, but music—especially treble-heavy music like synthwave or ‘80s pop—gets a bit imprecise and muddled at times, too many frequencies overlapping. It’s better than the overcompressed treble of the original Cloud, but it still could use fine-tuning. Oh, there’s also the microphone. The new design is better than the original Cloud when it comes to filtering out background noise, and it’s a totally competent mic. 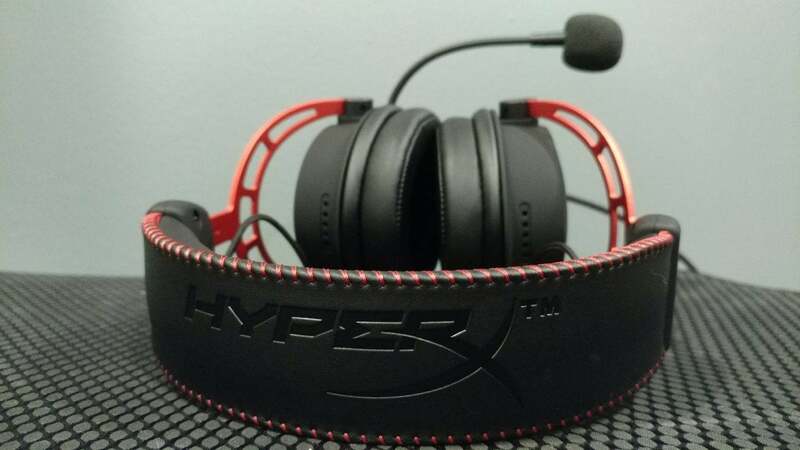 We’re still in damning-with-faint-praise territory, though, as HyperX’s microphones continue to be surpassed by most of the competition. It works fine, but is notably not on a par with the Cloud Alpha’s otherwise price-defying audio. All that said, the Cloud Alpha is one of the best headsets for the money and a proper successor to the original Cloud. It’s just as comfortable, just as durable, with ever-so-slightly-better audio fidelity and significantly better cabling. 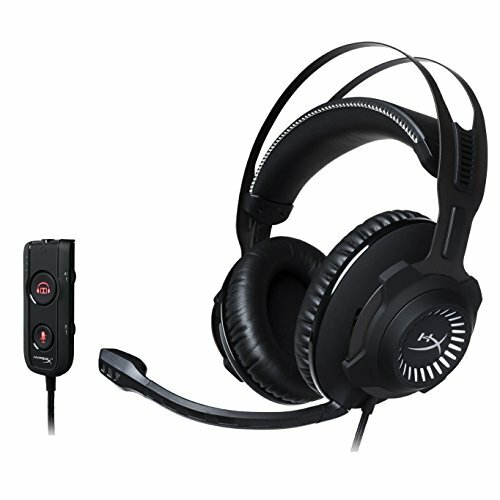 My complaints are pretty much the same as with any other HyperX headset—unimpressive inline controls, poor mic. At $99, the Alpha isn’t quite as priced-to-move as the original Cloud, but I expect those prices will fall soon enough. When it does...well, we’d better get the crown ready.